Posted in: Radio Control, XRAY. Tagged: New Releases, Racing, RC. 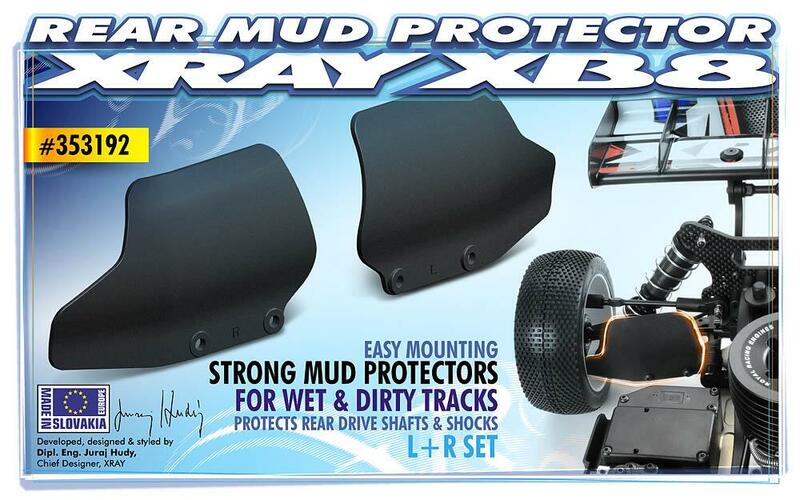 XRAY have released a Composite Rear Mud Protector for the XB8. They are easy to mount and are designed to protect the rear driveshaft and shocks from the elements you may encounter on a muddy or loose surface track. Check out Part# 353192 for more details.